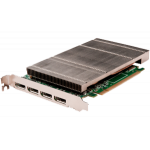 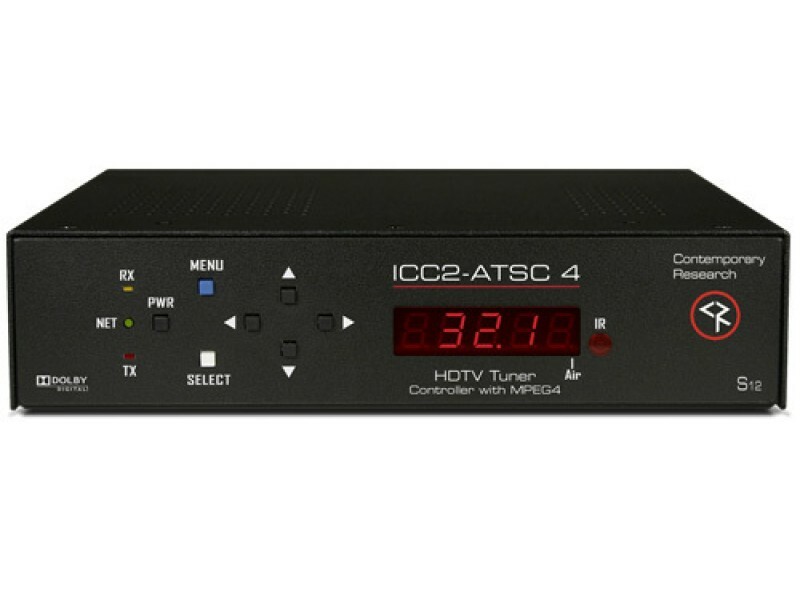 Contemporary Research ICC2-ATSC4 HDTV Tuner is an integrated HDTV tuner/controller that networks HD display monitors and projectors in a Display Express TV control system. 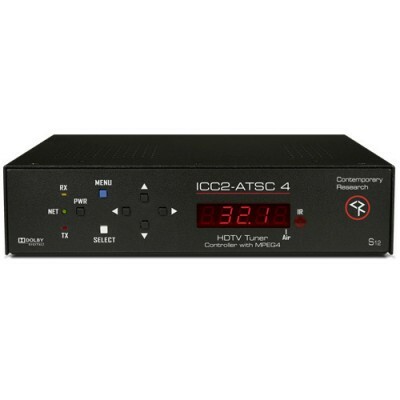 As a universal TV tuner, the ICC2-ATSC4 can receive ATSC, NTSC, and clear QAM cable channels from an MATV antenna or CATV cable RF system. 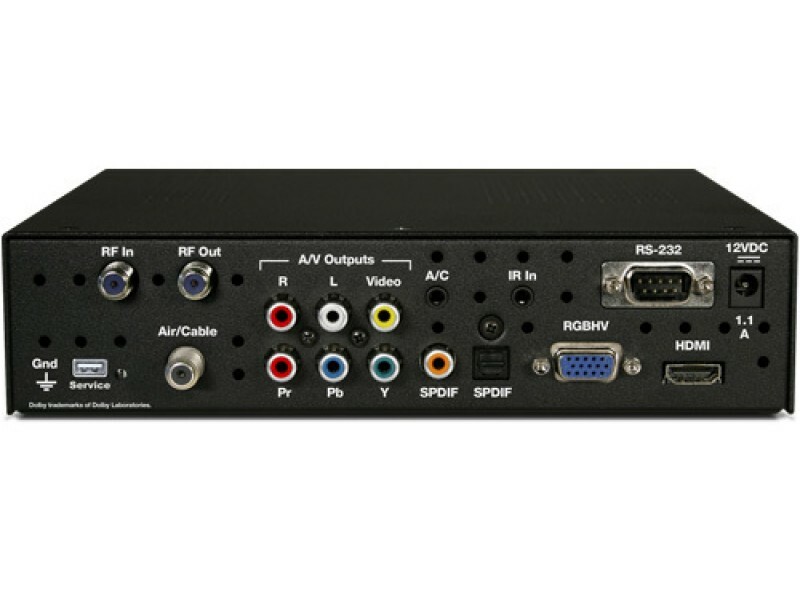 The new unit shares features with the 232-ATSC4 tuner, with the ability to tune MPEG2 and MPEG4 programs, and can output 1080p video. 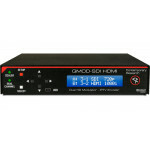 The tuner displays broadcasts through simultaneous HDMI, RGB/Component, and NTSC composite video or connections. 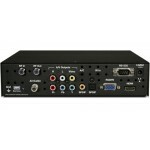 Full-time audio is available from digital 5.1/PCM HDMI, optical, and coax ports, as well as variable-level analog stereo audio outputs.